Economists studying comparative economic systems have generally neglected the important question of taxation in socialist countries. This is somewhat surprising since taxation plays an important role in the regulation of economic activity in these countries. 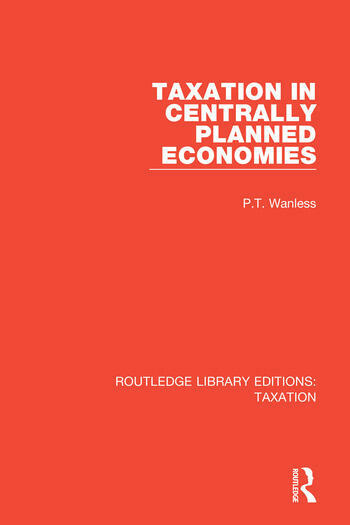 This book, first published in 1985, aims to restore the study of taxation to its rightful role in comparative economic studies. It stresses the importance of taxation and the state budget and argues that these are tools of economic policy which complement central economic planning.